If you're like me, and have very dry skin, then you'll know how important it is to keep your skin moisturised, especially in winter. I have very dry, sensitive skin and this gets exacerbated during the cold weather months. It's especially bad on my hands, to the point where, if I don't take care of them, then my skin cracks and starts bleeding. Not pretty. So, to combat this, I have quite an intense winter moisturising routine. Now, I know that a lot of these products are not cheap, but I think it's worth paying a little extra to stop my skin from bleeding. So, onto my Winter Skin Saviours for Dry Skin. 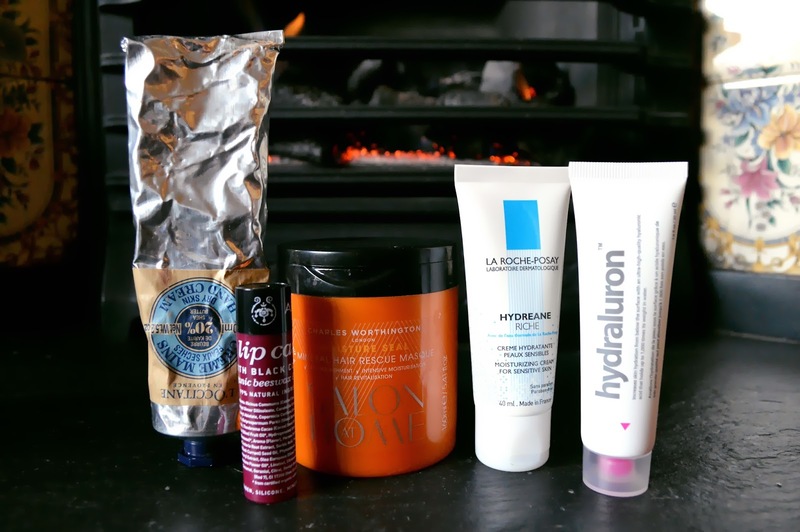 I've picked my favourites for skincare, lip care, hand care and hair care. This is hands down the best product I have ever tried and I feel completely justified in paying £19 for it each time. I repurchase this every year and it is the one hand cream that saves my bleeding knuckles! It's an intense hand cream made from shea butter, which is extremely moisturising. It's mildly scented, but nothing offensive- I think it's just a light shea butter smell. It sinks into my skin extremely quickly and leaves my hands instantly moisturised. It has improved the condition of my hands so much. If your hands are at all scaly or flaky or dry, you need to try this because this L'Occitane hand cream seriously changed my skin for the better. A 150ml tube will last me a year (or the cold months of a year) and I have found that no other hand cream has come close to sorting out my skin like this did. At first I was put off by the price, but once I used it, I was sold for life. Perfection. I have been through a number of facial moisturisers in my time, trying to find one that would moisturise my skin, without feeling mask-like, or clogging up my pores. My skin is very sensitive, so any scented facial skincare is a no-go, because it makes my skin itchy and inflamed. This La Roche Posay moisturiser is specially formulated for dry, sensitive skin so it is perfect for me. The texture is spot on- not too thick, but thick enough that I can really feel it working. It sinks in quickly and leaves my skin intensely moisturised. It has no scent, so is great as a makeup base if you wish to use it that way. Once I've applied iHydreane Riche, I can't feel it on my skin, and it visibly improves the condition- so long as I remember to use it of course! Now, this is a popular one. I'm sure you've heard everyone and their mum going on about hydraluron, and yes, I gave into the hype and bought it, and yes, it does live up to the hype. I thought, that since it's winter, I should give my skin a little more help, and hydraluron does just that. Basically, it helps your skin to more effectively take in the moisture from your moisturiser, thus rendering it more effective. I think that it's a small little step you can add in, that makes a big difference. When I use it, I notice that my skin is a lot more hydrated and smooth. I don't use it every day, because my skin doesn't like to be overloaded with products, but when I do, it does feel that my moisturiser is more effective. It's not a must have, but a great add-on to your routine. Lip balms are tricky little mistresses- I have found it very difficult to find a decent one over the years. Often they will be completely ineffective, and just stay on the surface of my lips and not well, do anything. This is not the case with Apivita, which you can buy in Marks and Spencer, in case you were wondering. This lip balm is a miracle worker! It's made of beeswax and olive oil and has no nasties in it. This means that it actually nourishes your lips and my lips have not been dry or cracked at all since I started using this. I apply it at night and throughout the day and I find that my lips are soft and supple and much better than before I started using this lip balm. This particular one has a purple tint, but if you're not into that, then there are plenty of plain options. It's not just my skin that gets dry- my hair also suffers! I bought the Charles Worthington Hair Mask as part of a 3 for 2 in Boots a few months back and have to say, I am impressed. My hair is course and porous (a great combo), so I have to be quite selective with what I put on it. This hair mask is relatively inexpensive and lasts for ages. I like to put it on, cover with a shower cap and soak in the bath before washing it out. It's most effective when left on for a while. It smells gorgeous- quite fruity, which I am a fan of. I work a 50p sized amount into the ends of my hair and can really tell the difference when I've used it. It leaves my hair soft and light, and doesn't weigh it down at all. I really like this as a once a week treat and it does improve the texture of my hair. So, there we have it, my recommendations for how to deal with dry skin in the winter. Do you have any favourite products? 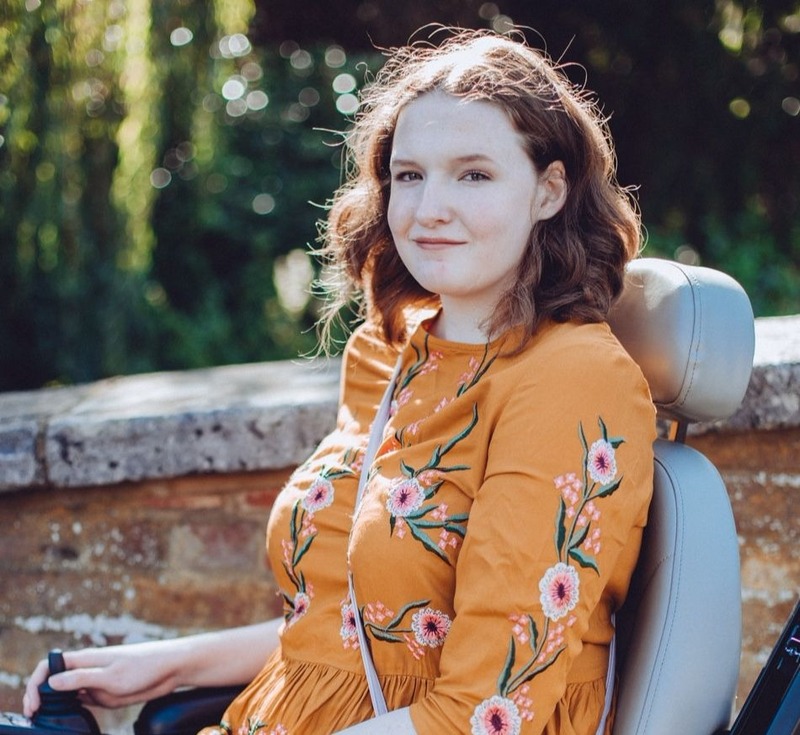 Thank you Sophie for writing such a great post! I have dry skin so I found this really helpful and I hope lots of you did too. I love the sound of the lip balm, I might have to make a trip to M&S! Make sure to go over and take a look at Sophie's blog.